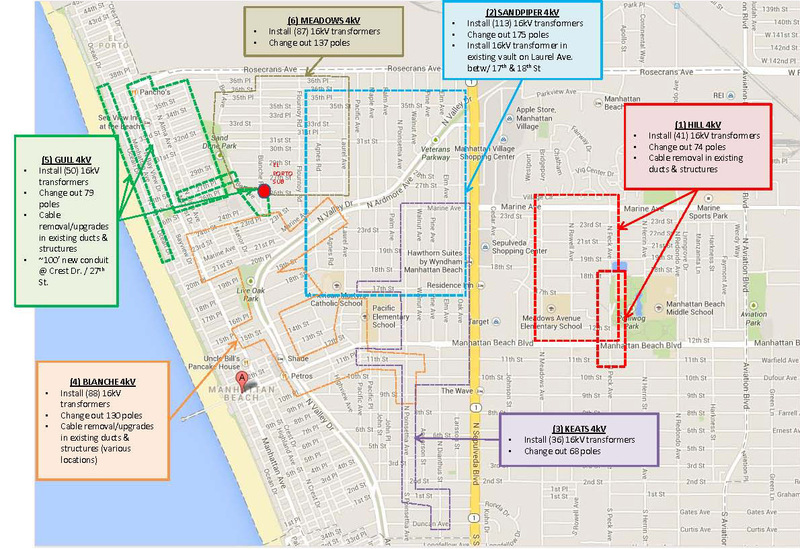 Southern California Edison is making upgrades to the Manhattan Beach electrical grid. This will affect a large part of home and businesses in this coastal city. SCE plans to start mid August in East Manhattan Beach and continue to the other areas identified in the map below. This project is to eliminate El Porto substation and to provide maintain safe and reliable service to customers in city of Manhattan Beach. The scope of work include overhead pole replacements, underground re-cabling, and installing new vaults. The process involves upgrading parts of the city distribution grid from 4 KV to 16 KV. During this process they will be removing (660) poles and (154) transformers and replacing them with taller poles and higher voltage transformers. When completed, SCE claims that the power grid will be more reliable with fewer blackouts and brownouts. The process will take into mid 2015 and will be done block by block. While they are working on a block, the power will be off from a few minutes to maybe as long as most of the day. Their first priority is safety, so while working on replacing poles and wires they may have to shut down a whole block for the whole day. According to SCE plenty of notice will be given to each property owner via door hangers, e-mails or text messages if you have given them your contact info. For more information go to “ on.sce.com/elporto“. 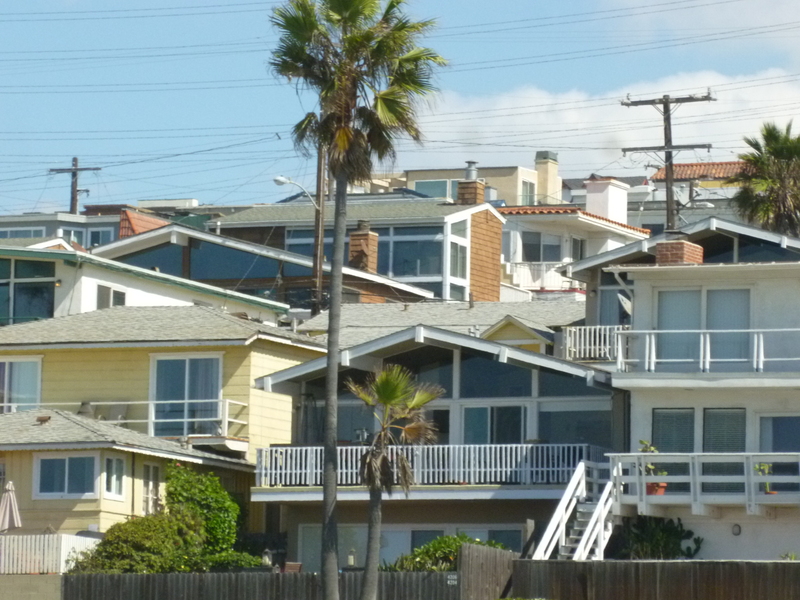 That’s not always the case in the luxury market of Manhattan Beach. 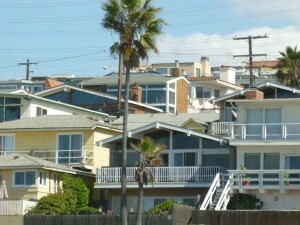 Due to the zoning in Manhattan Beach in which most areas only allow for 1 dwelling on a lot, most townhomes are built and sold in the sand section. 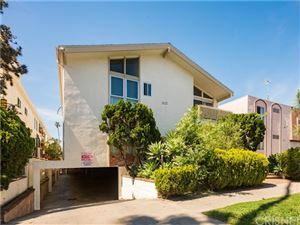 This area is closest to the beach, and the most sought after in Manhattan Beach. 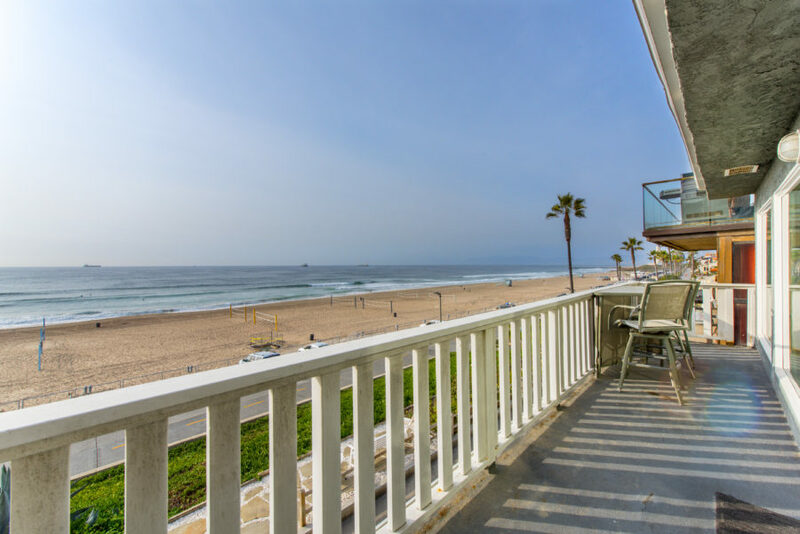 As everyone’s image of life at the beach includes ocean views, short walks to the beach, and the sounds of the surf…..this is where everyone wants to live and is priced accordingly. 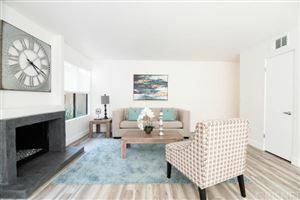 Luxury home buyers are often surprised that townhomes are not a far less expensive option, but as the bulk of the townhome options in Manhattan are in the priciest neighborhood they yield some pretty remarkable prices. 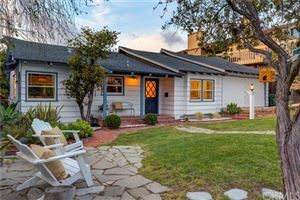 This isn’t to say that they are not considerably less expensive than the single family next door, but compared with prices in Manhattan Beach as a whole, they are higher than expected. 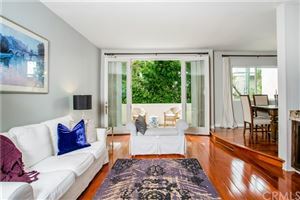 Other than the sand section, zoning really only allows townhomes on a few of the busier streets throughout the city and there just are not that many opportunities to purchase them as the supply is so limited.